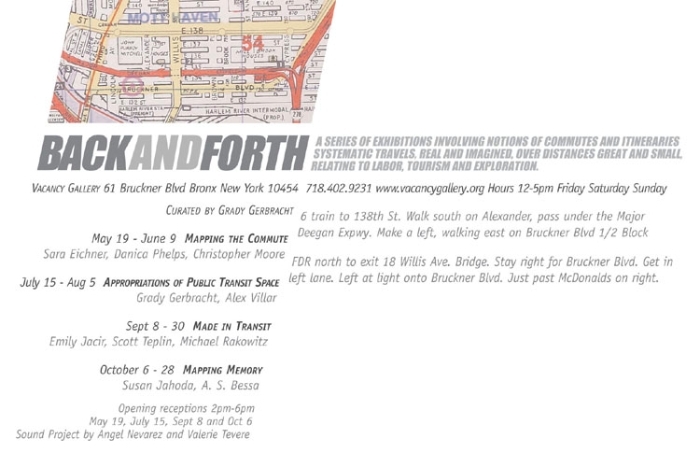 Back & Forth is a series of exhibitions exploring notions of commuting and itineraries which were installed at the Vacancy Gallery on Bruckner Boulevard in the South Bronx. 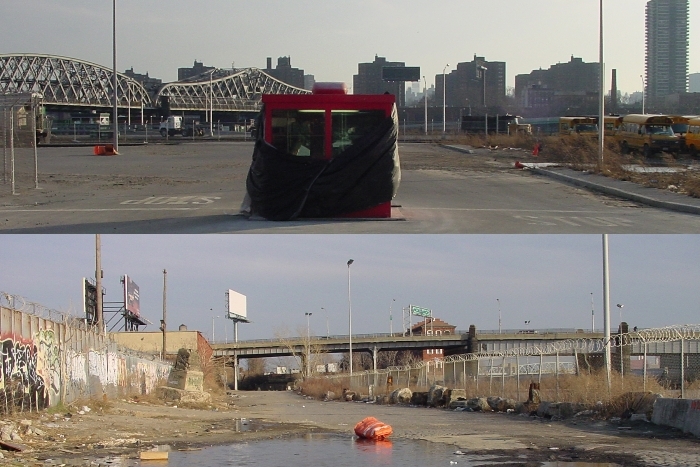 The series evolved out of my own interest in the subject of commuting combined with a site-specific approach to the context of the Mott Haven neighborhood. After being invited to make a solo exhibition of my own work, I submitted a proposal to the gallery to instead curate this series because i felt that other artists besides myself were making work addressing some of the same critical issues that I was with regard to time, space, labor, mapping, and the urban landscape. 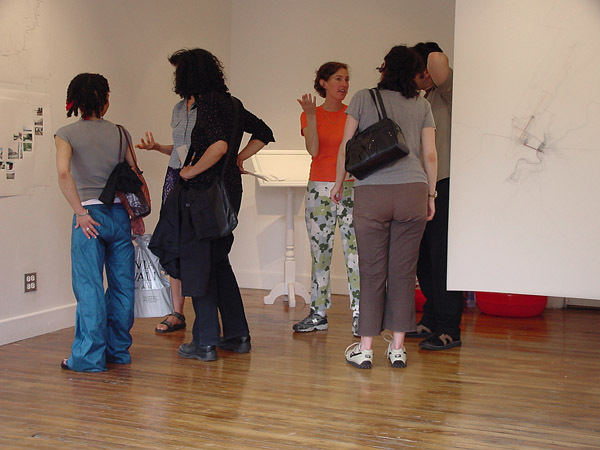 Because of the modest size of the gallery, works were presented in four separate themed exhibitions.